Shelby Stanger, who embraced adventure from an early age, now hosts an adventure podcast that has gained national attention. Photo courtesy of Shelby Stanger. Some of the wildest ideas can lead to the most rewarding adventures. That’s what Shelby Stanger 02C says at the end of every episode of her podcast, Wild Ideas Worth Living, sponsored by REI and designed for born adventurers and those who wish they’d been born that way. The San Diego native travels all over to meet with athletes, outliers, and adventurers who have taken an urge, formulated an idea, and undertaken adventures that have changed their lives and inspired others. Stanger is an ideal host for the podcast, considering the path she’s followed in life so far. An Olympic-development soccer player in high school, Stanger chose Emory because it offered more than just soccer. “All of the girls on the team seemed interesting and a lot of them volunteered, and I thought that was really cool, that value system,” she says. At Emory, Stanger majored in journalism and political science and wrote stories for a local weekly newspaper. 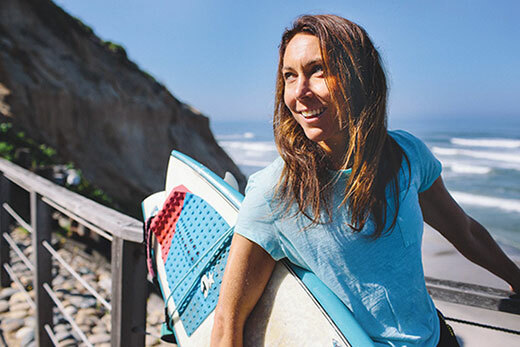 In the summer after her first year, she “knocked on the door” of the local San Diego newspaper until they gave her a weekly column on surfing and adventure sports that went to five different communities.